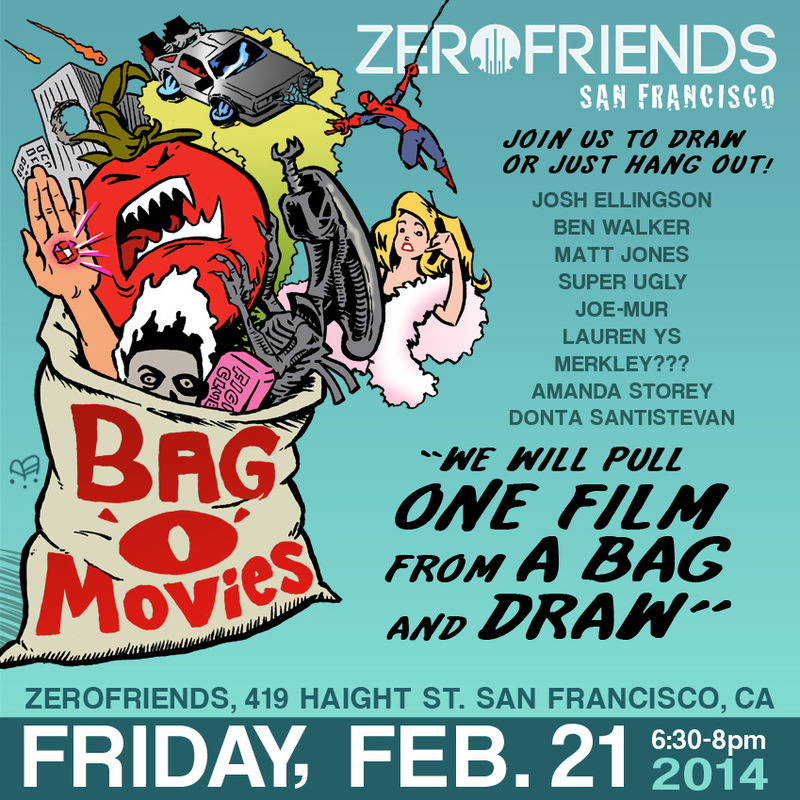 This Friday, February 21st from 6:30-8ish I will be hosting “Bag ‘o’ Movies,” a live drawing event at Zerofriends, SF! Contributing artists will place a favorite movie in a bag. One of these movies will be selected at random then the artists will create works based on that film as we screen it at the shop. The works created will be available to purchase, and we will have a few giveaways as well. Everyone is welcome to join us. Hang out and watch or even draw along with us! Zerofriends SF is at 419 Haight (at Fillmore), San Francisco, CA. Be on the look-out for the bags 'o' goodies I'm leaving around San Francisco in anticipation of Bag 'o' Movies! And check back for photos and artwork from the event!